Apple’s MacBook Pro Touch Bar: A new audio production tool? 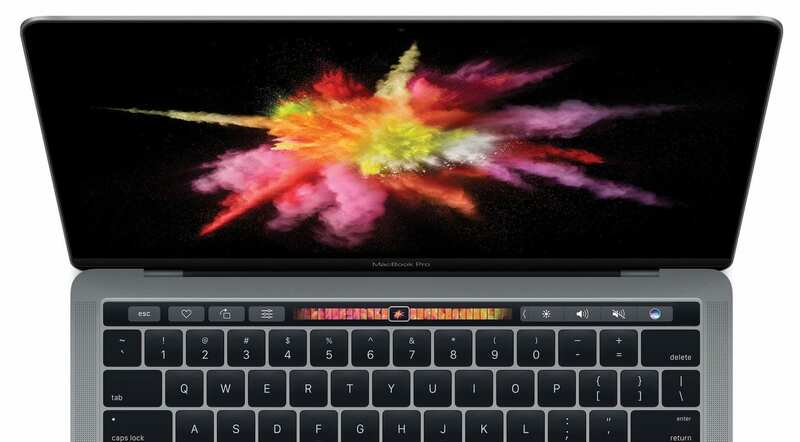 Apple's new Touch Bar: DAW navigation or transport, anyone? So the predictions were right! Apple’s new MacBook Pro has been announced and features a new touch bar for a “revolutionary new way to use your Mac”. Check out our previous story back in June about the rumours that were building around the new MacBook Pro. We got quite a lot right. The biggest interest for the recording community now is: How will DAW manufacturers make use of the new Touch Bar? The new MacBook Pro is finally upon us. Apple have implemented a new Touch Bar in place of the function keys on the keyboard along with a redesigned keyboard. 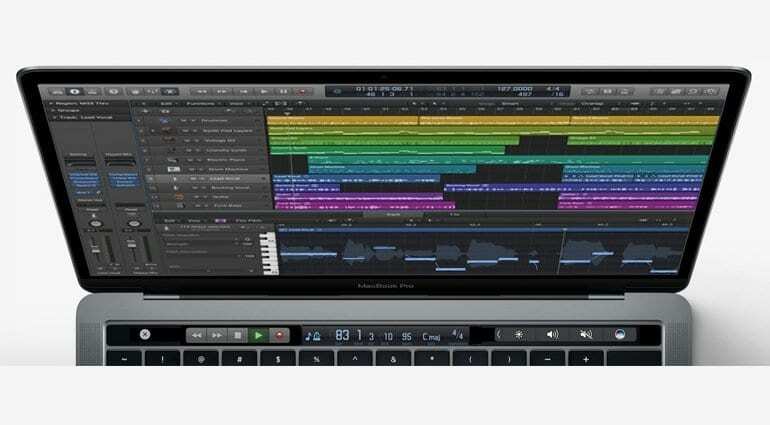 The new touch bar is creating a lot of interest in the audio world as we wonder how the DAW manufacturers will make use of it. Check out the pictures above which were mocked-up by Ask.Audio, with some plausible suggestions. What would you like to see? Let us know in the comments below. This new feature is supposed to bring a convenient way of reducing arm fatigue and give more control under your fingertips rather than lifting your arm to use a touchscreen. As a Pro Tools user, I feel Avid already make use of what used to be the function keys. Once users have learnt shortcuts for their DAW, they make it more fluid to use. This feature, I suppose, cuts down the learning time required. 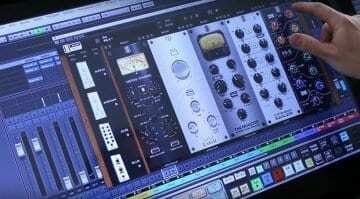 More of us are using more than one DAW these days, and tools like this should eventually make transitioning between applications easier. However, there is an initial concern. What happened to the function keys? For me this is a sign on Apple detracting further away from the pro market and answering the needs of their growing public who use these so called ‘pro’ machines for surfing social media. Simply put, I think this will force DAW manufacturers into making use of the Touch Bar. Many of the really pro applications make heavy use of the function keys, where as a ‘regular’ user may never touch them. I think the mock-ups shown above only scratch the surface (excuse the pun!) 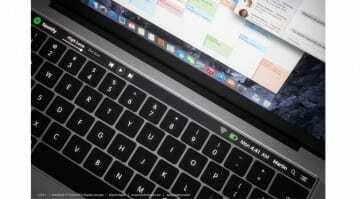 of how the Touch Bar might be used. Yes, transport and navigation control is very cool. However, there is something reassuring when tracking about the feedback a button or keyboard key gives you when doing a drop-in on the fly. A touchscreen can’t give you this physical feedback. I actually believe all the third party companies will make more use of this hardware as a way of offering more interactive plug-in control. DAW manufacturers should focus on navigation and a selection of shortcuts for common tools. Single fader control for writing automation would be useful. I can’t see editing audio on the Touch Bar ever working; that feels really un-professional. For musicians and producers though, I can certainly see some expressive uses of the touch bar. 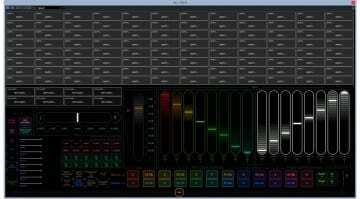 MIDI-like mapping to software instruments for pitch bending and modulation control could be great. Included in the new Touch Bar is Apple’s Touch ID which I can also see becoming implemented in DAW’s. Locking a project to a user, or perhaps simply adding some security to audio files could be attractive to those working in shared facilities like post production houses working on feature films. Will we see a new Apple keyboard released soon? I think this is a great feature which will hopefully be put to good use. But what about professionals working on a tower Mac, iMac or docked-MacBook Pro? If DAW manufacturers are going to make serious use of this new feature the hardware will need to reach as many users as possible. Perhaps the likes of Logitech will take some ‘inspiration’ to design their own version? The mock-up pictures seen above were created by Ask.Audio. See the full article here. Is Apple planning a new USD 999 MacBook in 2018 to replace the MacBook Air?